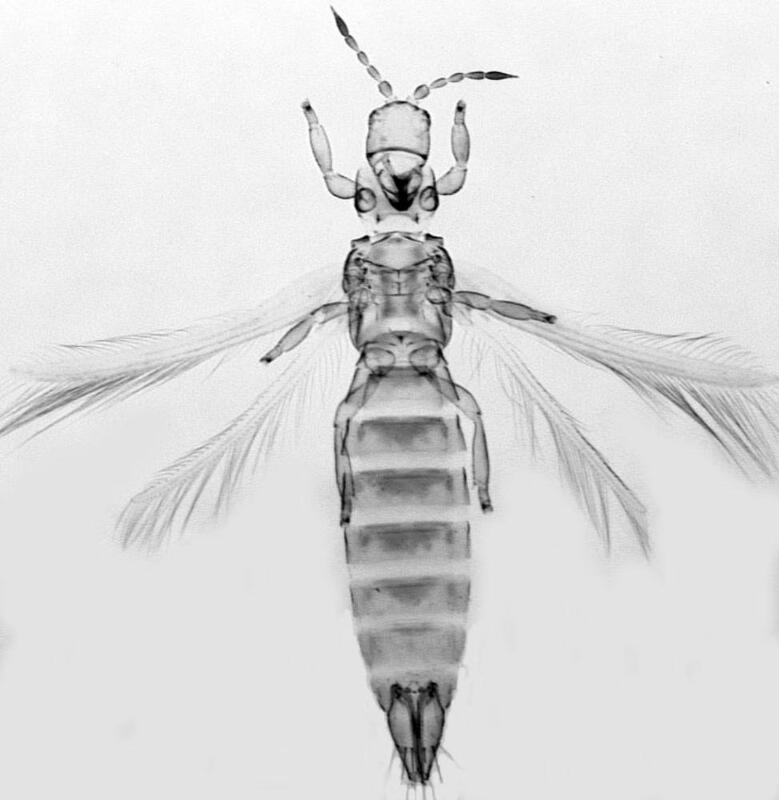 Female fully winged or with wings no longer than thorax width. Body and legs mainly yellow with light brown markings, posterior margin of head brown; antennal segments V–VIII light brown; forewing weakly shaded. 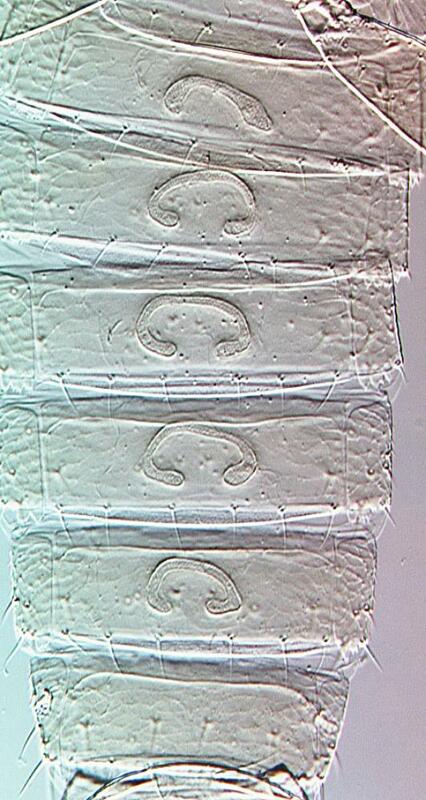 Antennae 8 to 9-segmented, segment VI with an incomplete oblique suture; segments III–IV with small forked sensorium. 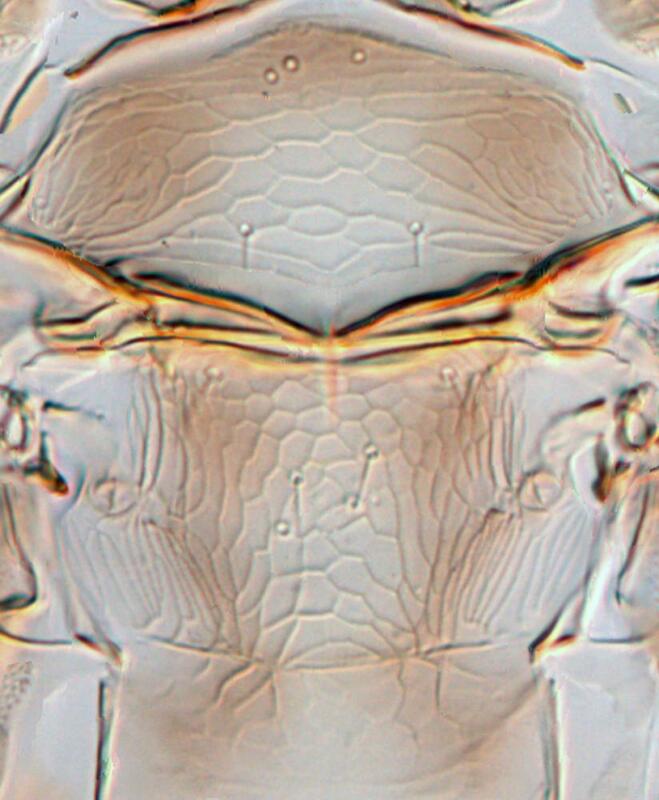 Head and pronotum without long setae. Metanotum reticulate, median setae well behind anterior margin. Forewing (when developed) with veinal setae shorter than half of wing width, first vein with 2 setae distally, second vein with 8–10 equally spaced setae. 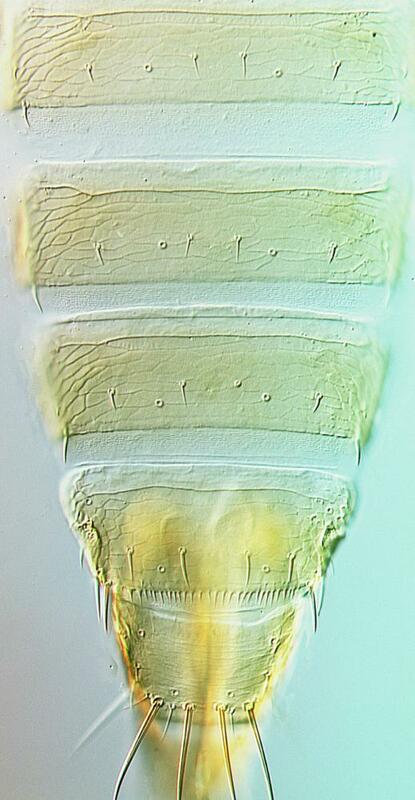 Abdominal tergites medially with faint transverse reticulate lines; tergite VIII with posteromarginal comb complete, but microtrichia short and variable. 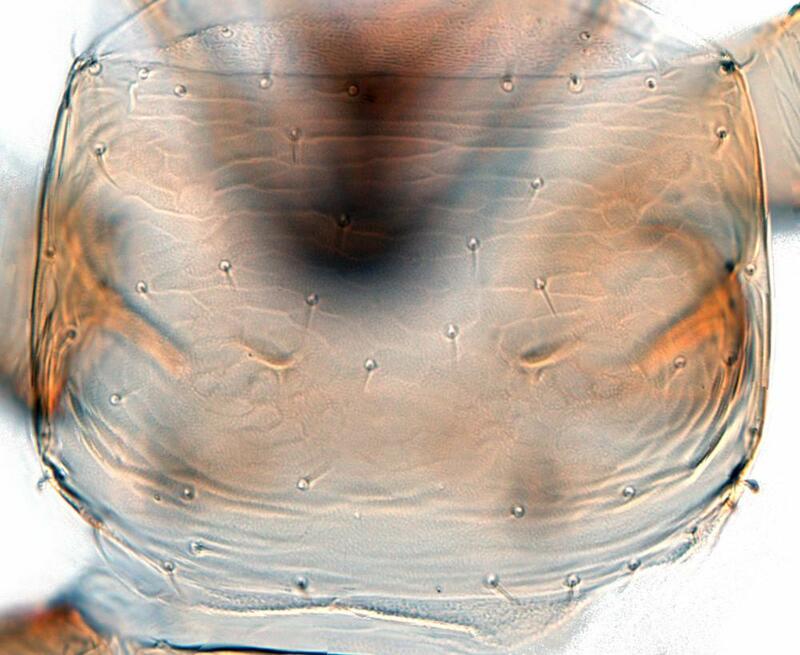 Male, known only from Iran, with curved pore plate on sternites III–VII. Adults commonly lack long wings, and the short wings of micropterous adults are easily overlooked. Body color is also variable with teneral adults more yellow, but overwintering adults considerably darker. 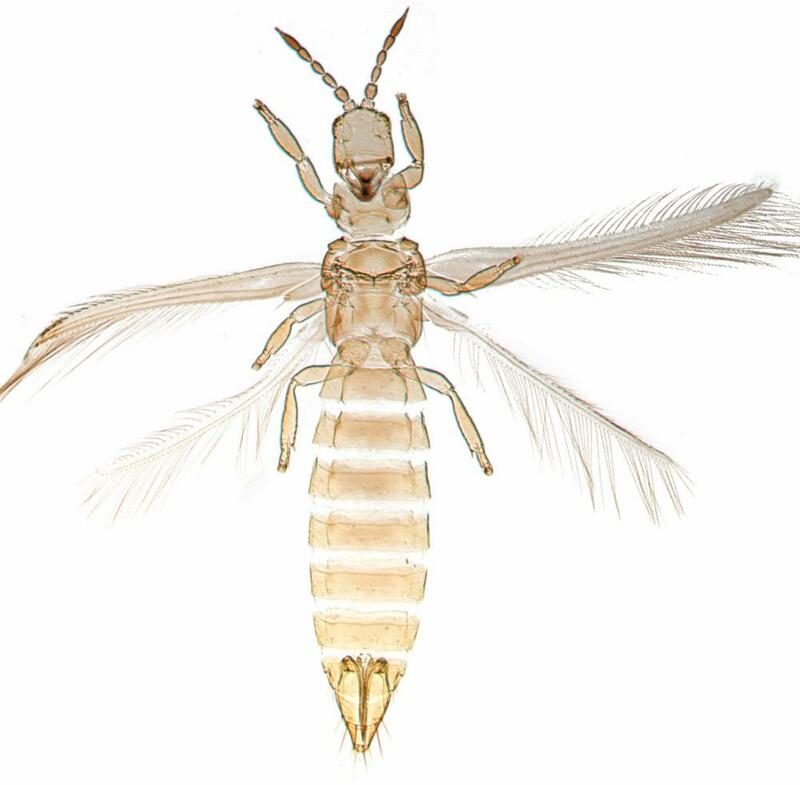 Almost 80 species from around the world are currently placed in the genus Anaphothrips, of which 17 are known from North America, all living on grasses (Nakahara, 1995), and 43 from Australia, mostly living on plants other than grasses (Mound & Masumoto, 2009). 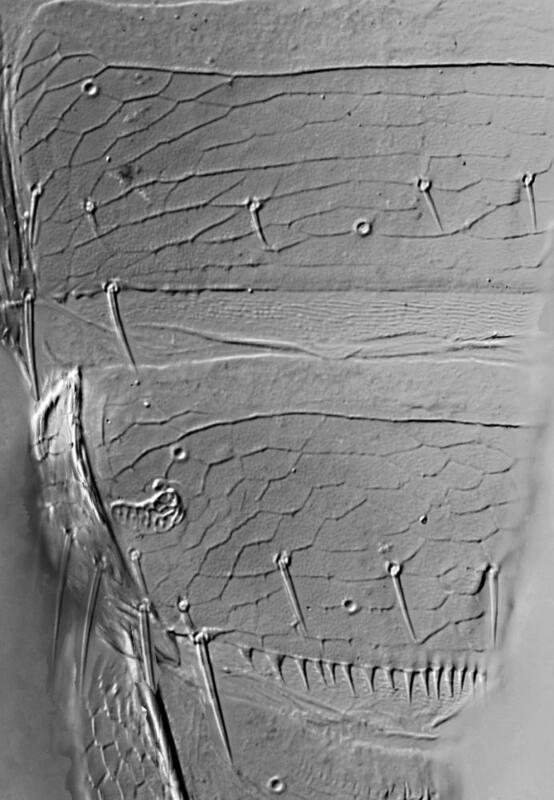 The species are structurally very similar to each other, although A. obscurus is unusual in having lines of sculpture medially on the tergites. 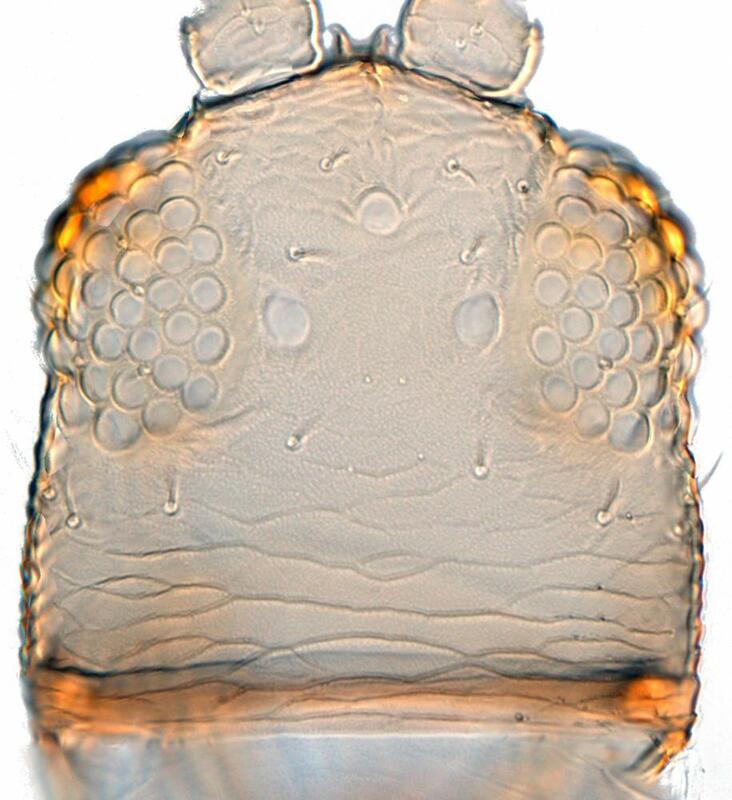 The male of this species has been identified and described from Iran (Mirab-Balou & Chen, 2010). Feeding and breeding only on leaves, commonly in the leaf axils. Feeding on young leaves results in yellow streaks as the leaves mature.